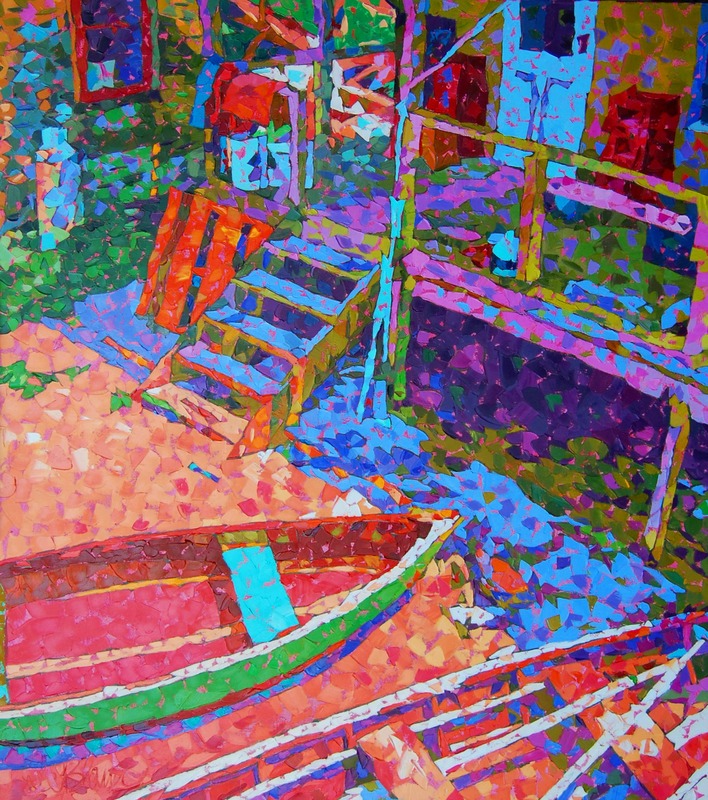 This painting was inspired by a Harbor in Maine. 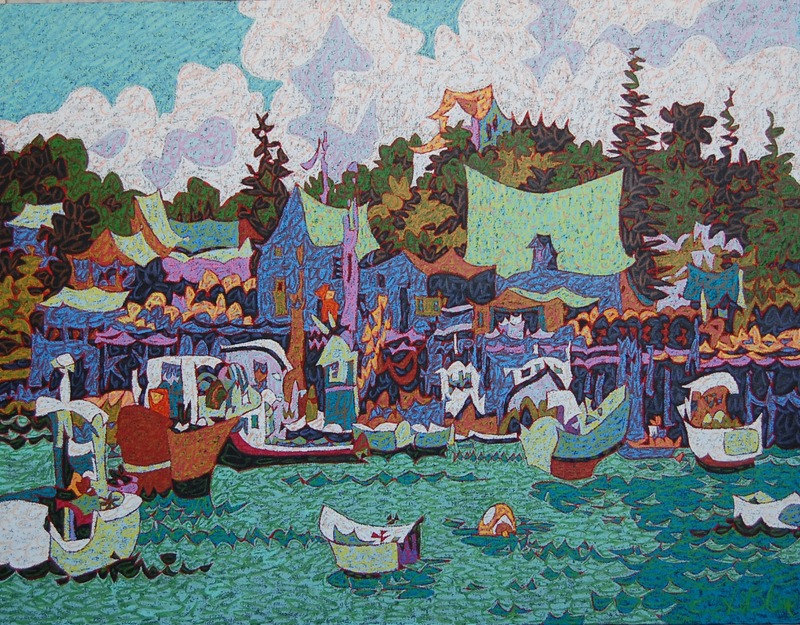 The buildings and boats of this Harbor were depicted as if they were strange animals. 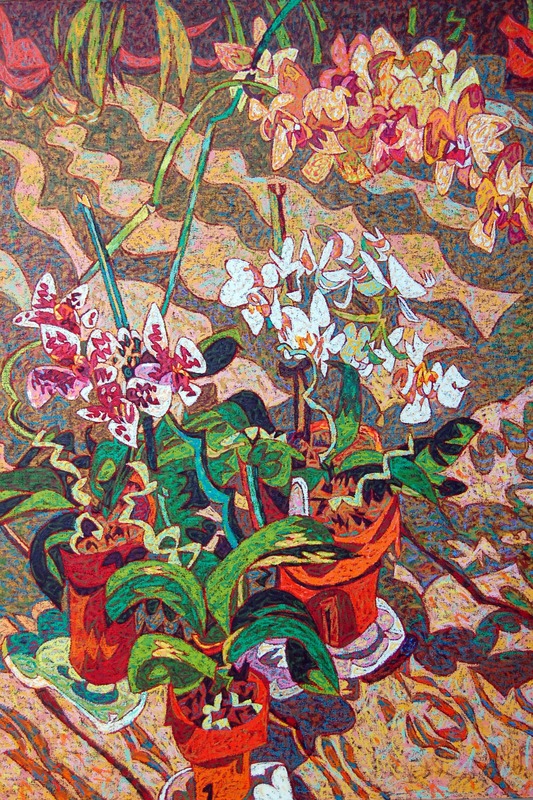 Colors were imagined rather than rendered realistically. 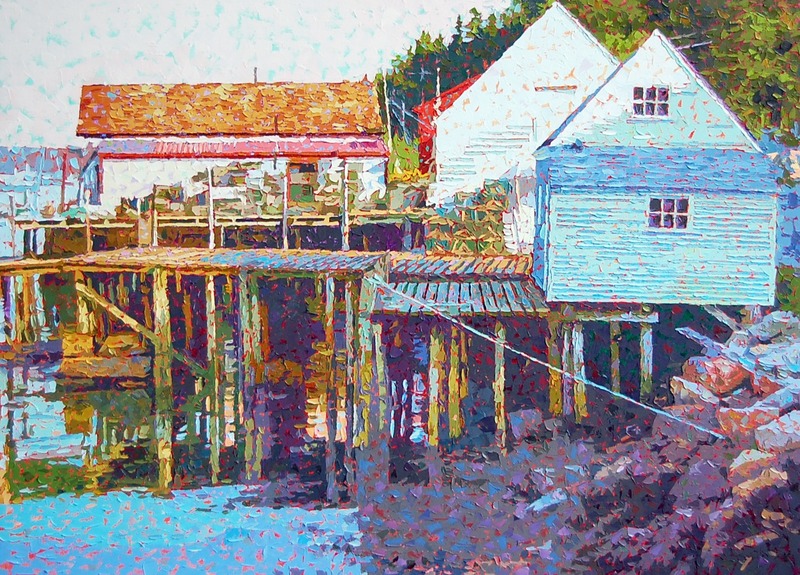 The medium for this artwork was oil paint pressed into crayon like sticks. These oil sticks allowed me to draw with oil paint. Hannah was a beloved family pet. 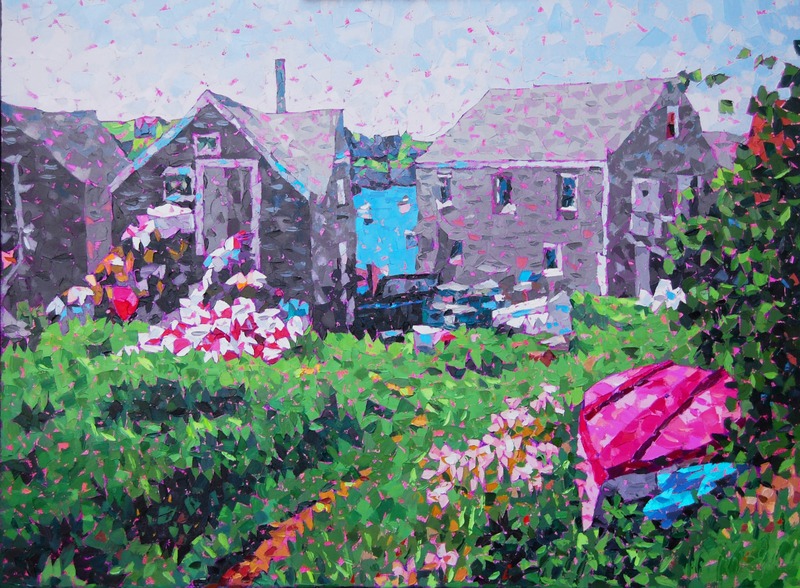 This portrait was commissioned to celebrate and remember Hannah. 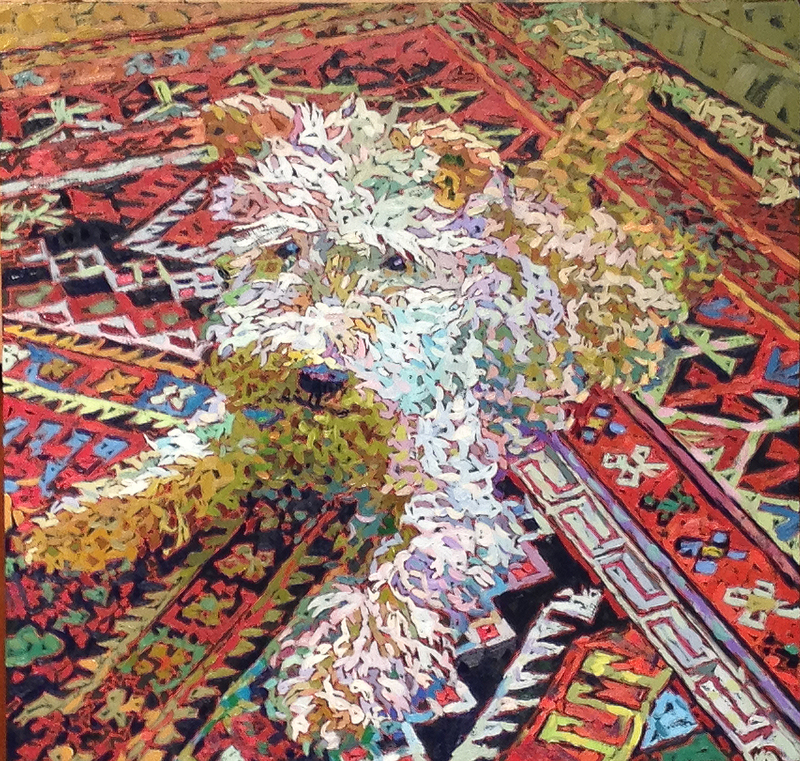 I wanted to show the kaleidoscopic effect of this fluffy dog against the pattern of the oriental carpet. 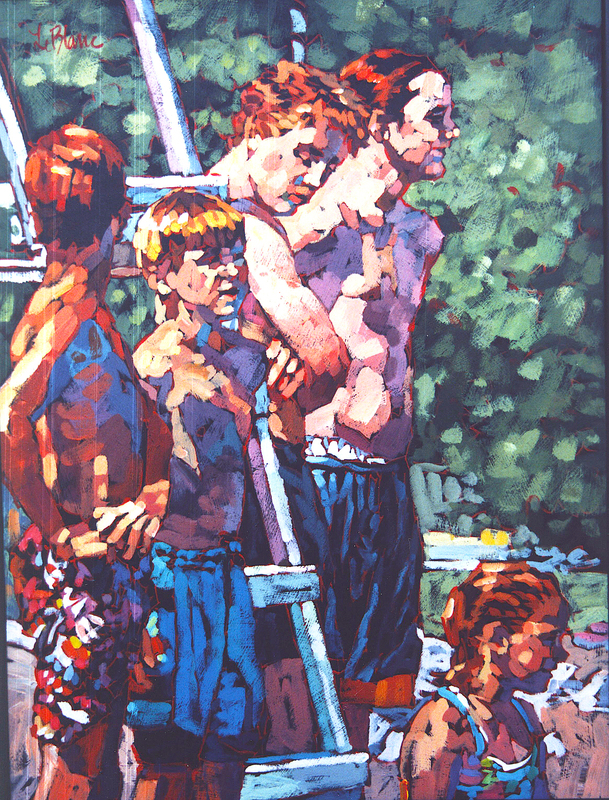 A great place for artists to find subject matter is at the public pool. For me this was a way to find lots of models in candid activities.